Baxter is a bunny who loves only one thing. If he invites you for tea, his friends know what to bring. Carrots are his weakness, he eats them by the bunch. So don't forget to stock up if you invite him for lunch! 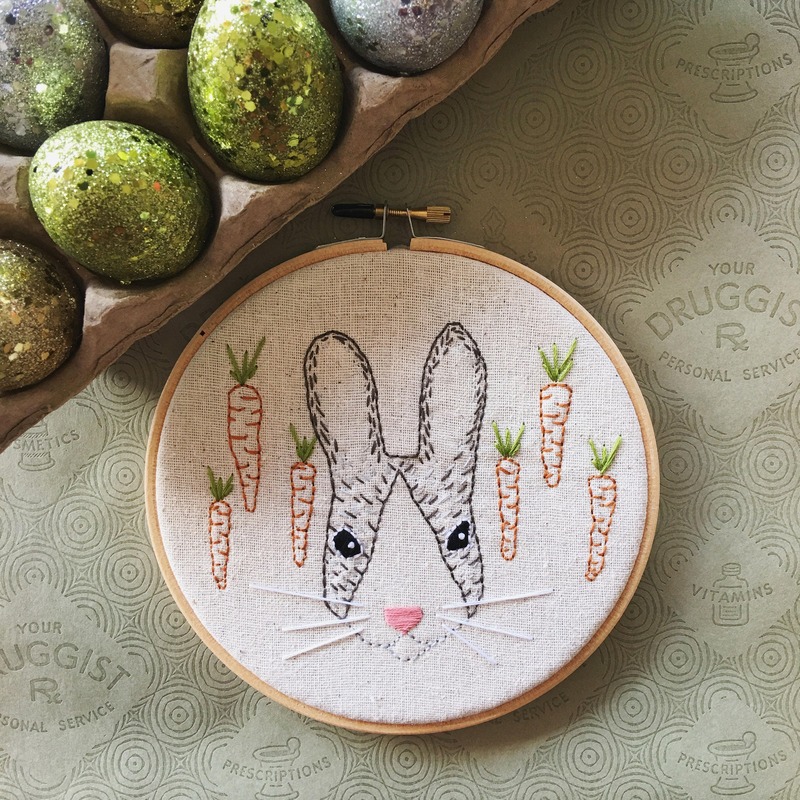 For the confident embroiderer, this kit contains everything you will need to make this sweet bunny sampler. It uses 6 stitches, and 6 colors of embroidery floss. 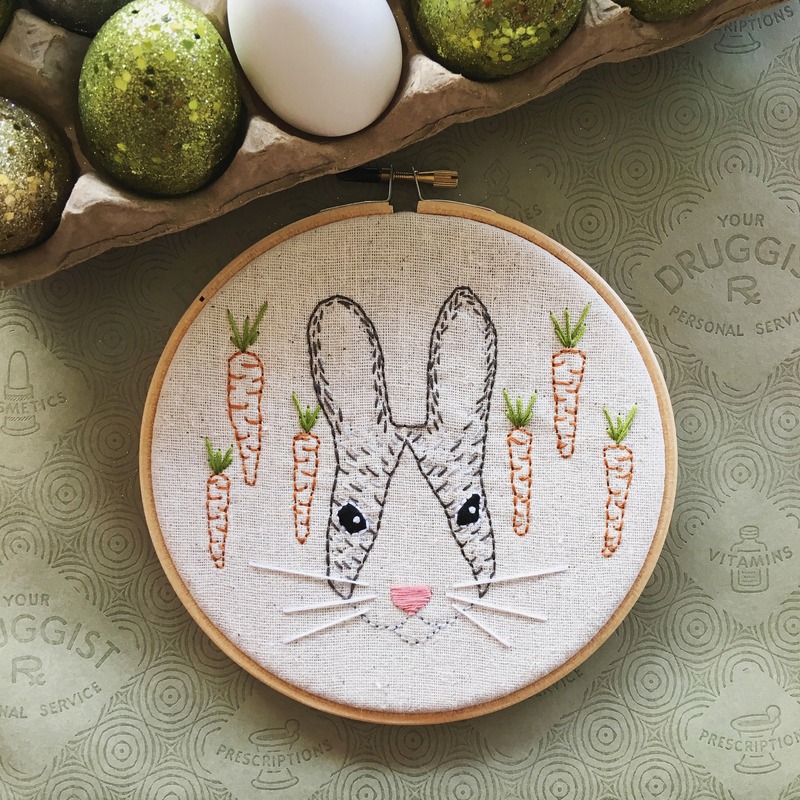 The kit is described as being a higher skill level because the embroiderer will have to be comfortable to make their own 'fur' using embroidery floss in various widths and lengths. Please inquire if you have any further questions. The directions are detailed, but some knowledge of embroidery for terms and understanding is helpful. I accept PayPal and Credit Card payments. Please note, your item will be shipped upon receipt of payment. Items are shipped via USPS after payments have been received. If you require expedited shipping, or RUSH delivery, please convo me for details on how I can help make this happen. I am always happy to help! PLEASE NOTE: I ship to the address you provide to Etsy during the checkout process. Please contact me if you are unsatisfied with your purchase for any reason. It is my mission to make and sell only quality items and I am not satisfied unless you are. Truly. Wholesale inquiries are welcome at this time, and I adore custom orders. Please convo me with any and all questions and desires. What if I have never embroidered before? Many of my kits are designed with the beginner in mind. 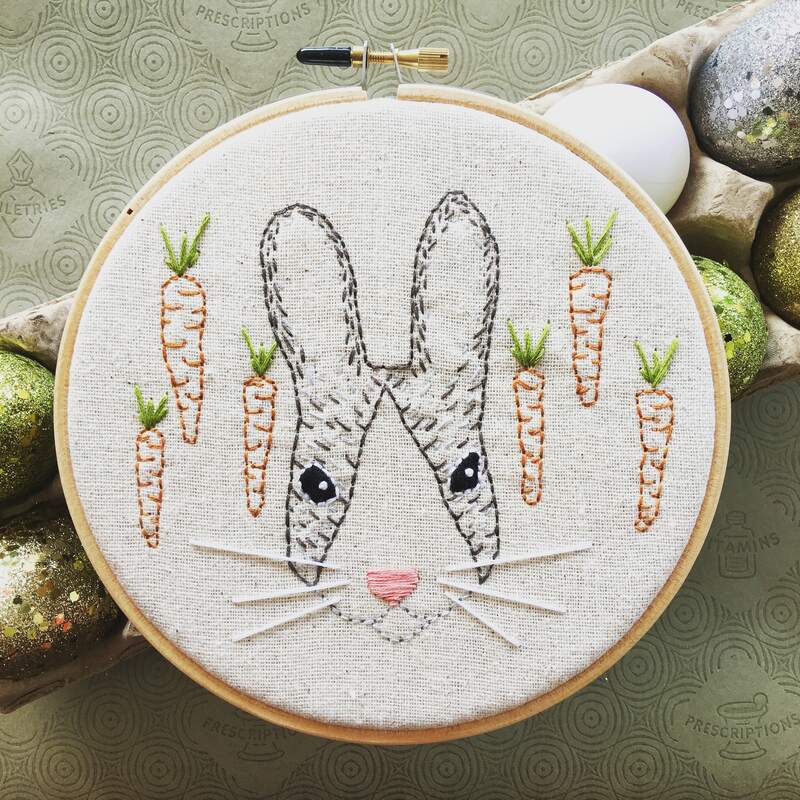 Embroidery is a fun and easy to learn craft that I am certain you will be able to master in no time! My kits and finished goods come packaged adorably, and also wrapped in tissue and tied in twine. If a more elaborate gift wrapping is wanted, please also purchase the 'gift wrap' listing upon purchase. For an additional $5, I will custom wrap your purchase and send it to the recipient of your choosing. I do wholesale my embroidery kits to specialty shops and boutiques. Please inquire with me directly for prices and minimums. Thank you! If I already have embroidery supplies, do I still need to buy the whole kit? No! If you find yourself already having all the tools you need to complete embroidery projects, simply peruse the patterns on my site. They are PDF downloads that you can use to make great projects with the supplies you already have!